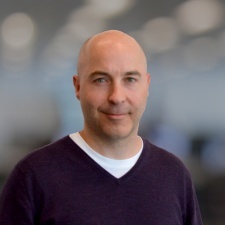 The company behind indie game engine GameMaker Studio has announced that Stuart Poole will be heading up the company as its new general manager. The firm revealed that the head of production and partnerships would be succeeding former boss James Cox. That exec departed the company in October of last year, taking on the role of senior director of engineering over at NaturalMotion. Poole's CV includes stints at Microprose, Ocean, Climax and Realtime Worlds. ”Since the launch of GameMaker Studio 2, we continue to learn about how our community uses the platform to build inspirational games that push development concepts in the 2D space,” he said. “With a talented team of true innovators, I’m excited to take up the mantle of General Manager at YoYo Games and evolve GameMaker to the next level of 2D games development." YoYo last year announced that it was getting into games publishing with former Outplay staffer Chris Trewartha at the helm. Former GM Cox also told PCGamesInsider.biz last year about the importance of game jams.